Last weekend, due to the rain, I stayed at my friends house and when “morning” came she said the most splendiferous thing. I was singing food songs on in my head on the way to her mothers house. Renu has never done it wrong in the kitchen and Saturday’s breakfast was made with generous portions of happy. 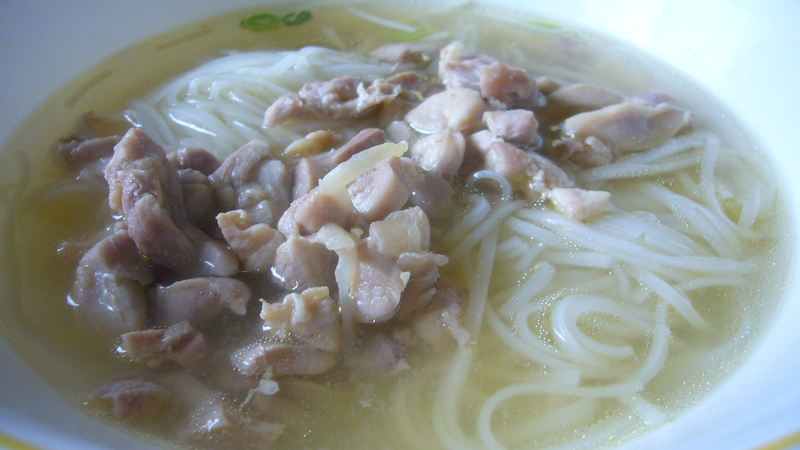 It was a chicken noodle soup done Thai style. 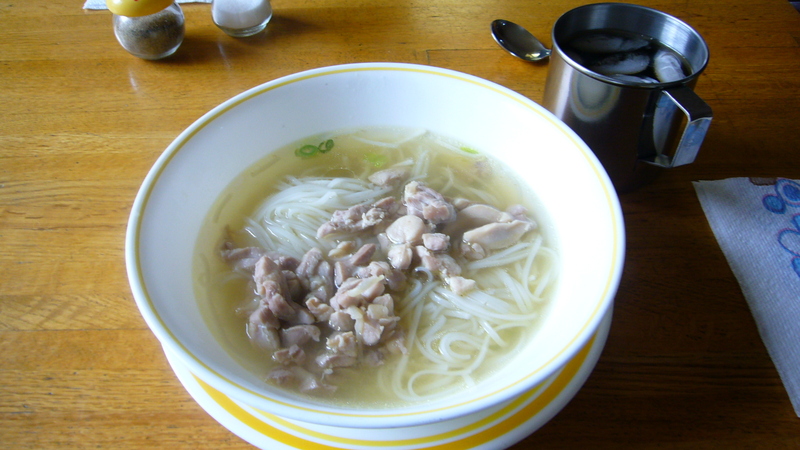 The broth was her own recipe and included with the chicken were bean sprouts and rice noodles with a bit of chive for flavor and color. The chicken was very tender and would disappear the minute it hit the tongue. Reminded me of breakfast soup that I got in Thailand and we put in fried garlic chips and ate it with breakfast doughnuts. I will have to drag that picture up if I can find it somewhere. It’s good to be alive…. ← Previous engagements: Renu fishcake! It was a early afternoon fling…short, but so sweet. I am most motivated when asked to your Renu-land for food stuffs. You were born under a lucky star..